HOTEL TRANSYLVANIA 3 will be available on Digital HD tomorrow and arrives on Blu-ray™ Combo Pack and DVD on October 9th! 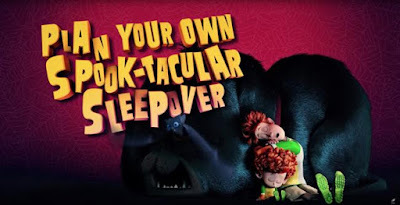 Below, please enjoy a whole batch of Drac-tastic material featuring a DracuStraws activity page, a recipe for Drac’s Spooky Smoothie, and a few adorable bonus features clips! BONUS CLIP: Scary-Oke Sing-Along “Oh, These Wolf Pups!"